Handy Dachshund Jute Bag with leatherette detail of the stylish dachshund walking onto the panel one side. Then walking off the panel on the reverse side in contrary dachshund style. 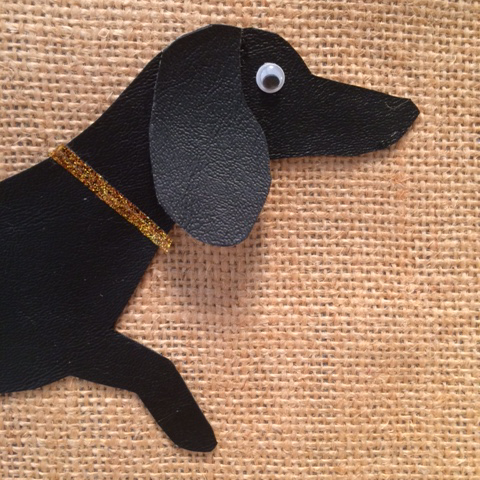 Funny but stylish flappy ear and goggle eyed dachshund detail. 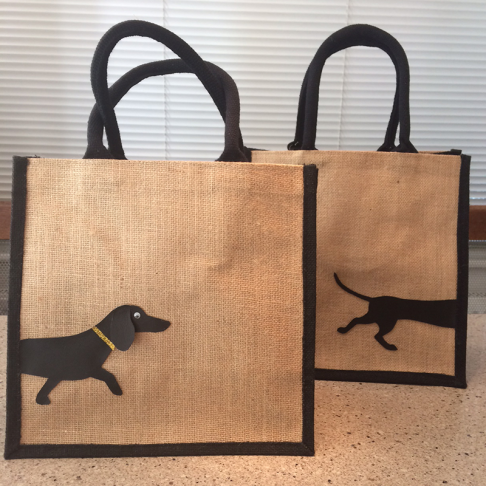 Smart black jute handle and side panels in true dachshund black and tan colour. 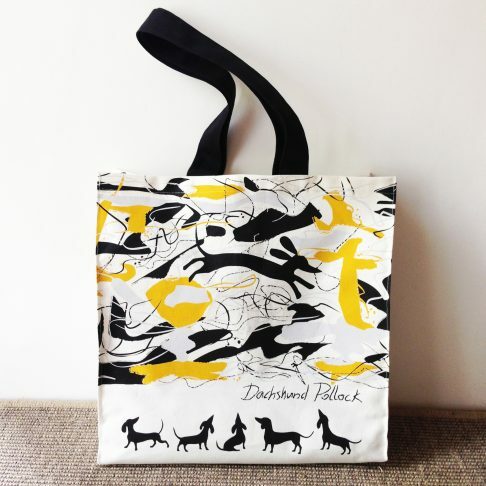 Handy Dachshund Jute Bag with leatherette detail of the stylish dachshund walking onto the panel one side. Then walking off the panel on the reverse side.